Barrick Gold (NYSE:ABX, TSE:ABX) on Wednesday provided support for its rocketing 2016 share price performance with the release of strong fourth quarter and full year financial and operating results that showed positive cash flow, headway in reducing the company's massive debt pile and continued cost-cutting. In 2015, Barrick produced 6.12 million ounces of gold, in line with the company's revised outlook for the year. All-in sustaining costs of $831 per ounce in 2015 were below our original guidance of $860-$895 per ounce, and at the low end of our revised outlook of $830-$870 per ounce. 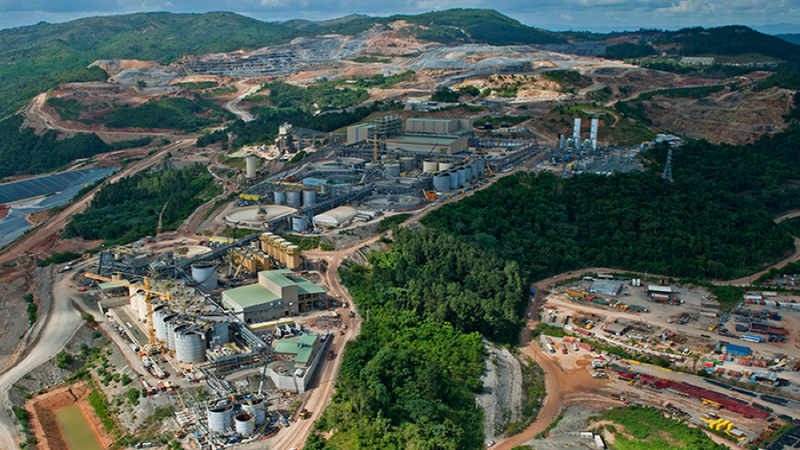 In 2015, despite lower gold prices, Barrick recorded positive free cash flow for the first time in four years, generating $471 million in free cash flow for the full year, and $387 million in the fourth quarter. Adjusted net earnings were $344 million ($0.30 per share) for the full year and $91 million ($0.08 per share) in the fourth quarter. A net loss of $2.84 billion ($2.44 per share) for the full year and $2.62 billion ($2.25 per share) in the fourth quarter reflects the impact of $3.1 billion in previously announced after-tax impairment charges. For 2016, production guidance is 5.0-5.5 million ounces of gold at all-in sustaining costs of $775-$825 per ounce, and 370-410 million pounds of copper at all-in sustaining costs of $2.05-$2.35 per pound. Barrick's over-arching objective is to generate, and ideally grow, free cash flow in any foreseeable gold price environment. In support of this, our aspiration is to achieve all-in sustaining costs below $700 per ounce by 2019. In 2015, the company's total debt was reduced by $3.1 billion, or 24 percent; our debt reduction target for 2016 is at least$2 billion. Proven and probable gold reserves were 91.9 million ounces as of December 31, 2015. In addition, we have reported an initial inferred resource of 5.5 million ounces at our Alturas discovery in Chile. After falling to its lowest since 1989 in September, the recent run-up in the value of Barrick stock brings the world's top gold producer's gains since the start of the year to an astonishing 61%. At a market value of $13.1 billion in New York, the Toronto-based company is the most valuable gold mining company in the world.